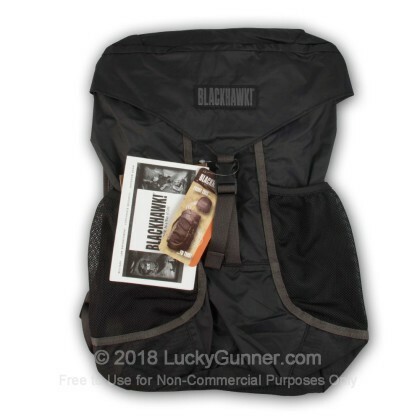 Blackhawk's Stash Pack is the perfect way to carry an extra large bag, in a small storage space. Keep this convenient fold-up pack stashed away in your suitcase for those times when you need a little extra storage. Simply pull it out of the integrated pouch to convert it into a backpack. 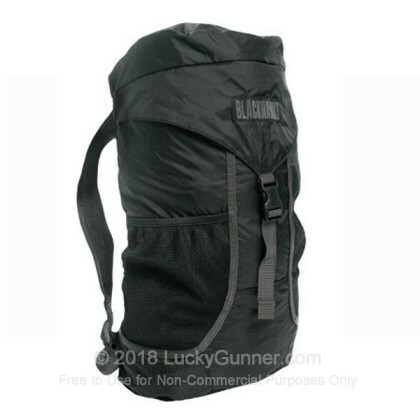 Blackhawk's Stash Pack is a great addition to any go bag. 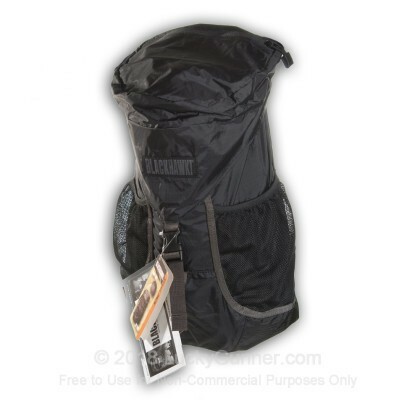 Body of pack is constructed of lightweight 210 denier nylon ripstop. Bottom of pack is constructed of 330 denier nylon double ripstop. Folds up into a small pouch when not in use; Unfolds into a lightweight stash pack. Easy-to-pack design fits easily in suitcase. Open-top mesh pockets on sides can be used for water bottles. Adjustable, padded 3-D mesh shoulder straps. 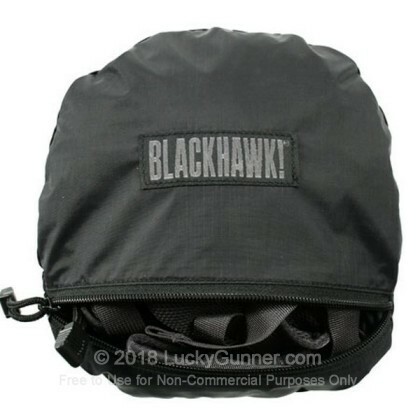 This bag is a good size, the quality is typical for Blackhawk. (which is great in case you are new to this company) I should have bought more but I did not realize how good these are until I opened it. Wish I would have bought 10 for that price. Other reviews I read were on the money. This is not a heavy weight bag but comfortable and convenient. Highly recommend. Fast delivery! Highly effective tool to add to existing load out. You must realize up-front that this is literally a "fold up-stash pack;" therefore, it IS NOT made of heavy weight nylon ballistic fabric 1050 denier. It is light and thin so don't carry cinder blocks in it and expect it not to rip. Once you realize that, you can properly apply this pack to your tasks. Extremely useful. I wish I had bought more at this price!!! Wish I would have bought a couple more to give to my kids. Great addition to go-bag, lightweight, takes up very little space when folded. Well made but not for any heavy duty use. Prompt delivery and very good value for this bag. Have used this type of bag for "backup" when traveling abroad because sometimes we've needed to carry day trip supplies. Small to pack and tough enough to do the job.